In the extreme southeastern part of the 17th arrondissement, the working-class area around the Place de Clichy, in the southwestern part, the upper-class area around the avenue des Ternes, where the Marché Poncelet is located. 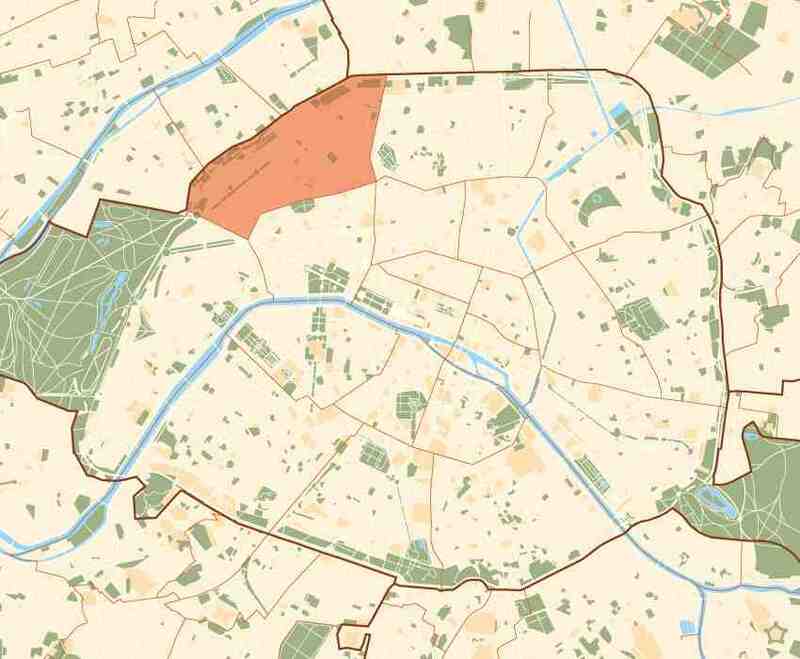 In between these two neighborhoods, occupying the majority of the arrondissement’s land area, is the former village of Batignolles. The 17th arrondissement also hosts the Palais des Congrès of Paris and the Concorde Lafayette hotel.